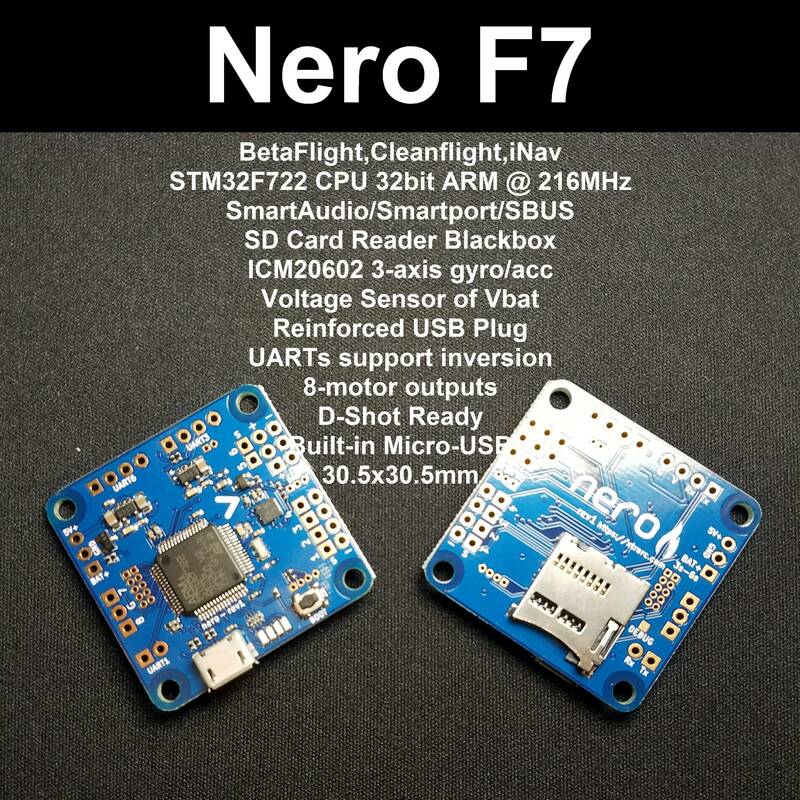 NERO - STM32F7 based FC -The NERO has been designed by blckmn who is a considerable contributor to the ongoing development and support of the flight controller firmware Betaflight. He is also known for sharing and blogging details on multi-rotor gear he has hacked to ease the pain for other pilots. These units are from blckmns approved sources and have been blessed by him, all support goes back to him. thank you blckmns for all the amazing work. 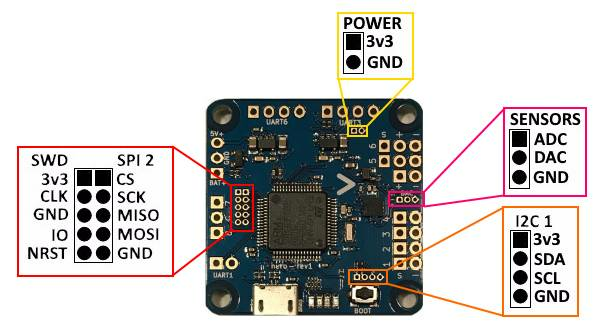 The NERO is a simple ST Microelectronics STM32F722 based Flight Controller - designed to run Betaflight. This is the FC designed for those wanting F7 performance but still keeping it simple and in your control i.e. whilst it comes with non of the extra trimmings - it's bare bones - it definitely punches above its weight. The STM32F7 is the next step up in terms of processor performance. 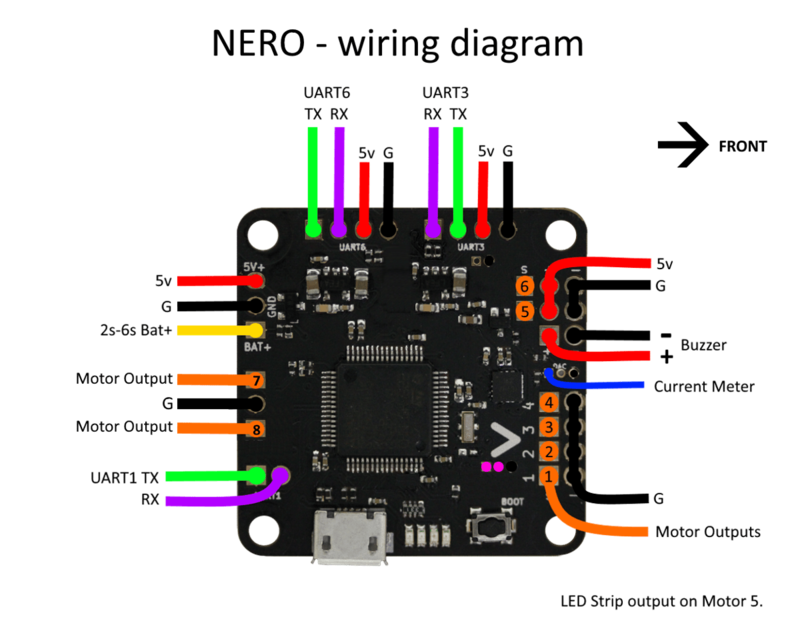 This board is designed as a simple replacement to previous generations of F1, F3 and F4 based flight controllers. The overall design has been based on the successful BlueJayF4 (rev4). Current Sensor: available as ADC input, but requires shunt circuit on PDB or battery cable. SPI (2) is broken out for adding an SPI peripheral, e.g. another GYRO.